Welcome to Aortic Stents.com. 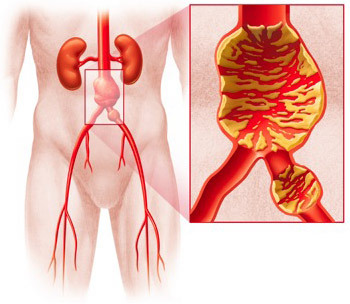 Here you will find information about abdominal aortic aneurysms (AAA’s, or “triple A’s”) and thoracic aortic aneurysms (TAA’s), their detection, and a new minimally invasive treatment called stent grafting, also known as EVAR (endovascular aneurysm repair). This website contains information that will help you understand whether you or a loved one might be at risk for AAA, how to detect it through screening, and to tell you about a new minimally invasive treatment called stent grafting (also called endovascular aneurysm repair or grafting). This FDA approved aortic stent procedure is performed by our expert team of interventional radiologists in Chicago, Illinois, often in conjunction with vascular surgeons. It allows safer repair of AAA’s and a much more rapid return to normal health and activities than traditional open surgery. Please contact our IR team for more information on aortic stents.